WHEN it comes to food on the hill, I have to admit I am a changed man. Friends used to find it astonishing that I would never eat, even during the longest mountain days. I never felt the need. As long as I was taking in plenty of fluids, I was okay. Besides, stopping for food breaks just wasted travelling time as far I was concerned: I could be on the next mountain in the time it took to stop and have lunch. And when the weather is bad? Who wants to sit and eat a sandwich in pouring rain? My night walking was also a factor. No one wants to have ‘breakfast’ at midnight, so a big meal mid-evening – with porridge for dessert obviously – carried me through the night. I could then enjoy breakfast when I came down. I did always carry a couple of Mars Bars tucked away in my bag in case of emergency. I still do, although often I would find them years later, the chocolate turning white from age. No worries though, I actually liked the albino version. The change is known as a fat bloom and is caused by liquid fat like cocoa butter oozing through the chocolate and crystallizing on the surface. It doesn’t do any harm. Anyway, now I have seen the light (lunch). I have become an eating machine. It’s snack, snack, snack all the way round. Still not so keen on sitting in the rain though. The improvement in outdoor food products has also helped. Changed days from when most energy bars tasted like blocks of dried sawdust. The problem of expedition food still remained. For me, the packaged varieties on the market were something to be endured rather than enjoyed, often slimy textured, gloop in a bag, neutral taste. Close your eyes and it would be nigh impossible to guess the meal. Worst of all, as someone who has to watch his cholesterol, the figures were horrendous. In some cases, some of these meals could provide more saturated fats than my total allowance for two days. Now there’s a new player in town, one that hits all right notes. 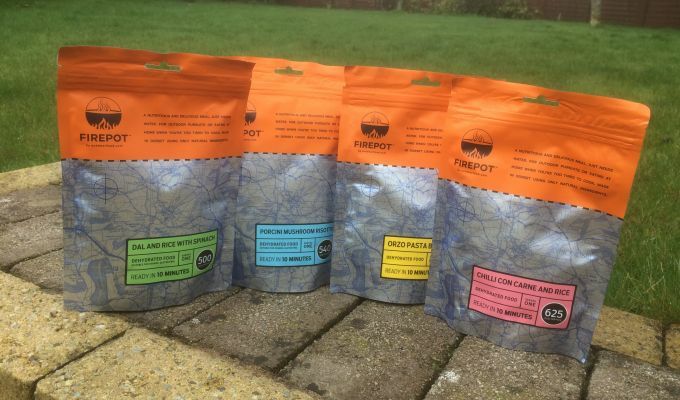 I’ve been lucky enough to try out Firepot meals, and I reckon they will prove a real game-changer. 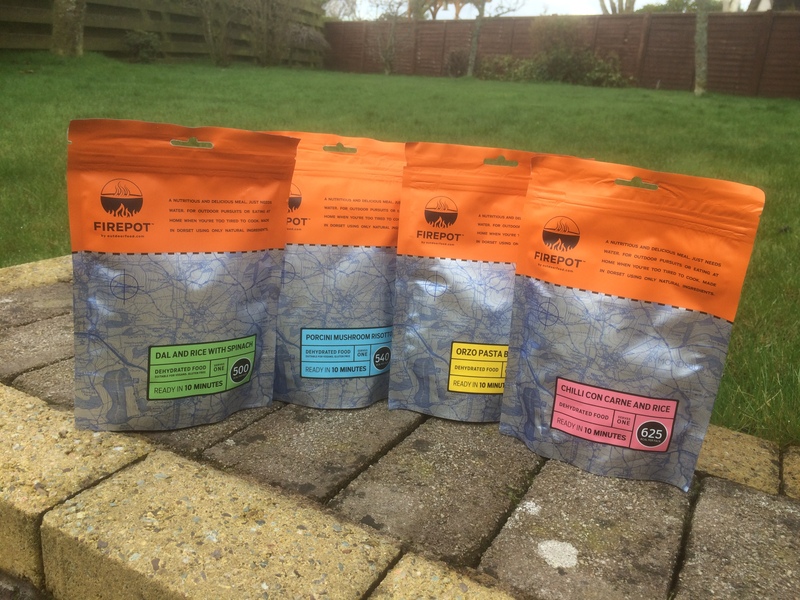 Preservative-free, healthy and nutritious, these meals are produced in Dorset by Outdoorfood Limited, whose company founder, John Fisher, was frustrated by the lack of good-tasting food available during his big expeditions to foreign parts. They are dehydrated as a complete meal rather than using separately freeze-dried components and have a shelf life of two years without relying on artificial preservatives, chemicals or high salt levels. They come in two sizes, 135g and 200g, and there are four varieties; Orzo Pasta Bolognese, Chilli con Carne, Porcini Mushroom Risotto, and Dal and Rice with Spinach, the latter two vegan and gluten free. Just add hot water and off you go. 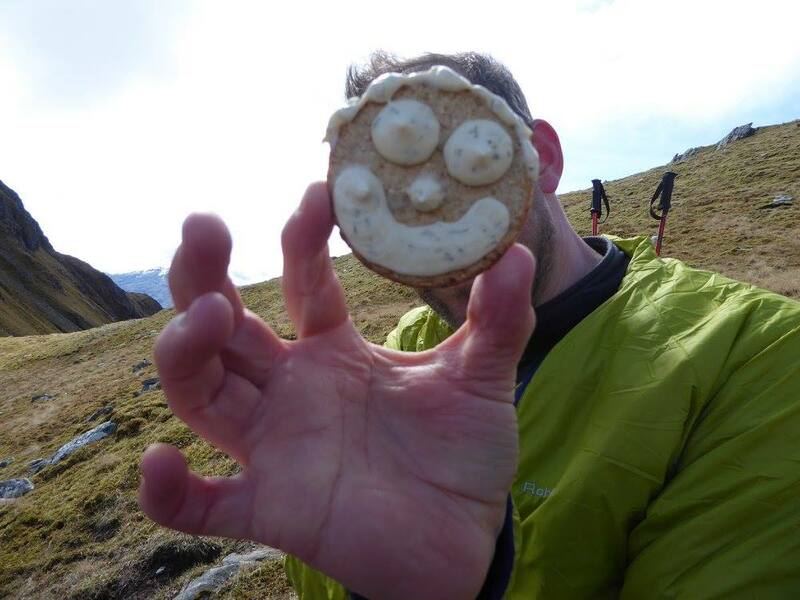 I tried the Orzo meal first when out in the north-west Highlands and was blown away. It tasted like real food. So much so, that I actually ended up later eating two of the others indoors rather than cook for myself. The smaller size proved a big-enough portion for my needs, and the added bonus is that the pack is so lightweight that carrying a couple in your pack even on a day trip would be negligible. I am already making plans to get a stock for this summer’s big trips. At the moment, they are available only online at www.outdoorfood.com but there are moves which could see new markets opening up.